To begin I must say I don't know what to do with myself as we have a 70 degree day here in the big apple. So happy mild Monday to you all. Now on to the goodies. I recall a post about intuition some time ago (December 2010). 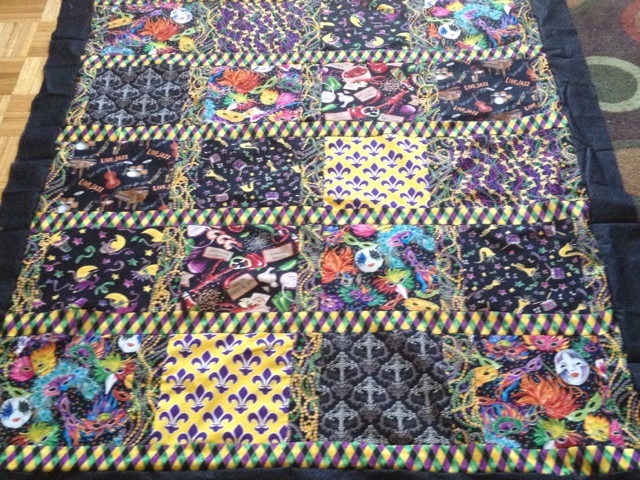 We were challenged to take a stack of fabric and start with a block, no pattern or anything and just follow your gut. Well, I sorta did that here. 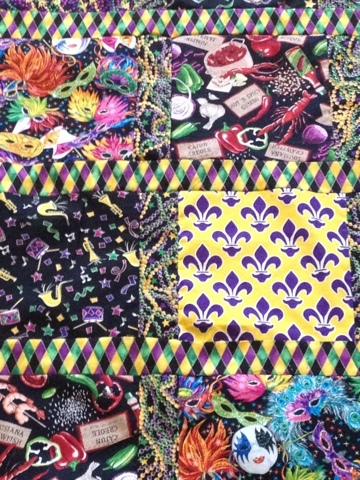 I had a stack of crazy fabrics from my New Orleans visit. So of course it was Mardi Gras madness. The prints wanted to be featured without too much mincing. Smiles. So on Friday I sat down for what started off as 15 minutes to start cutting.... And 45 minutes later this emerged. Love it! Mardi Gras all the way. 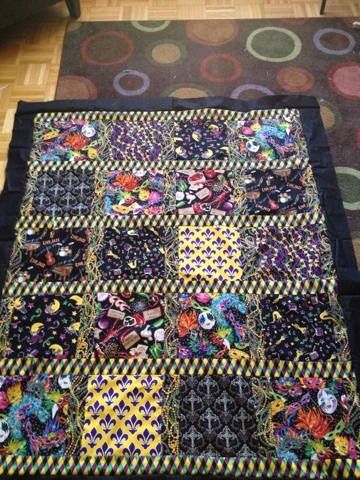 Fantastic Mardi Gras celebration quilt! Yesss! I can hear the music!!!! Way to make it happen E!